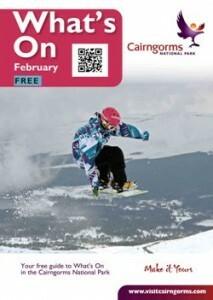 Aviemore has a great calendar of annual events including a Husky Rally, Ski and Snowboard competitions, ‘Thunder in the Glens’ Harley Davidson Motorbike Rally, European Tour Golf, Aviemore Half Marathon and Christmas Eve Parade. There are also lots of smaller events which happen throughout the year including live music, sport, arts and crafts exhibitions and food events. See the online guide for this month’s What’s On magazine. Events are listed on the calendar below. If you are an event organiser you can list your event for free on this website and in the What’s On Guide – just complete this form online in plenty of time.